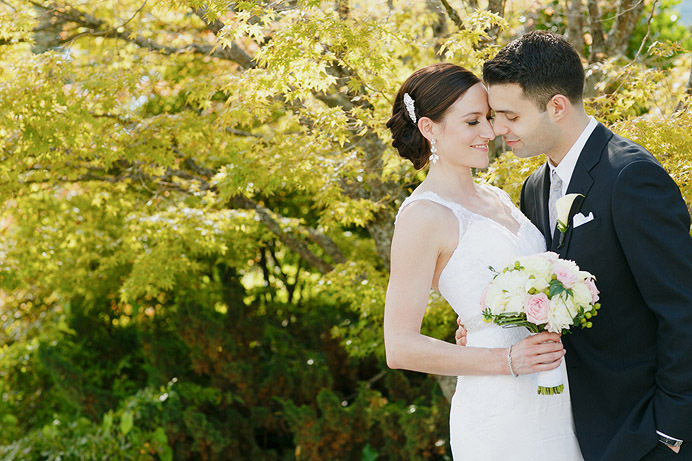 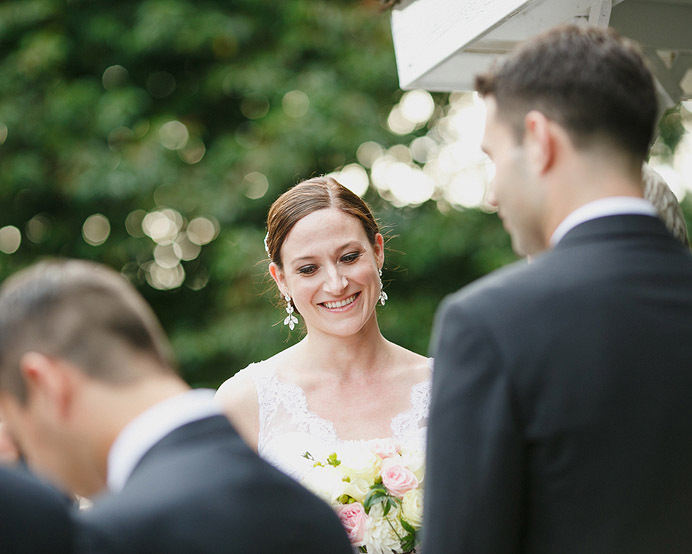 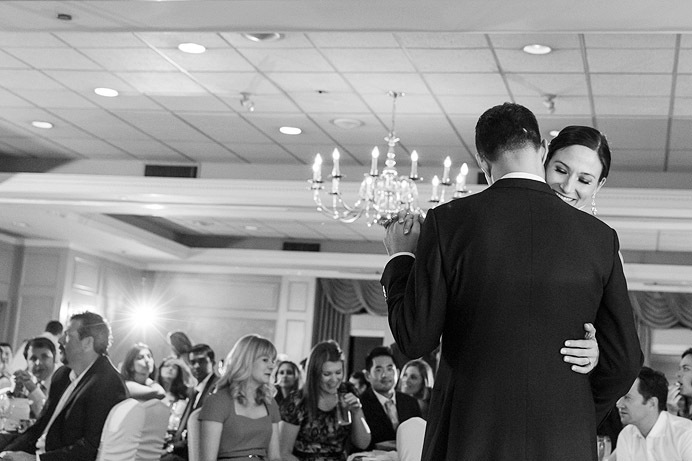 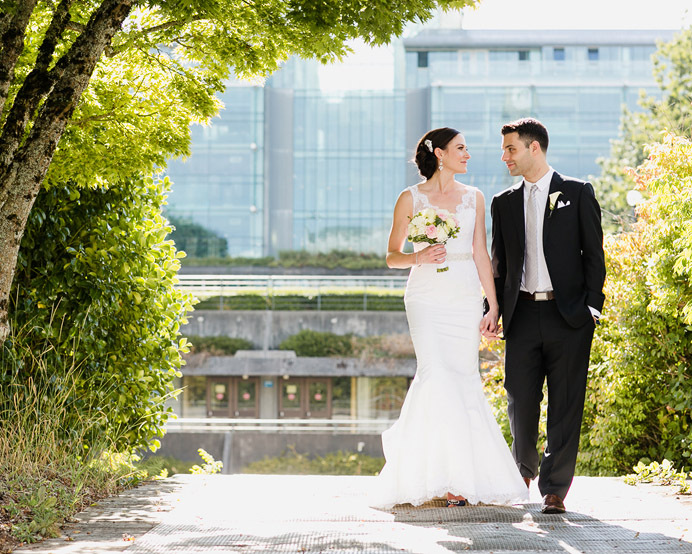 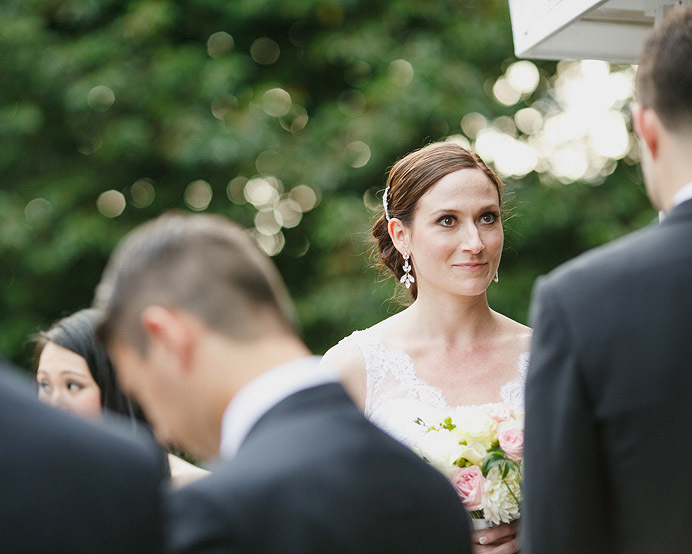 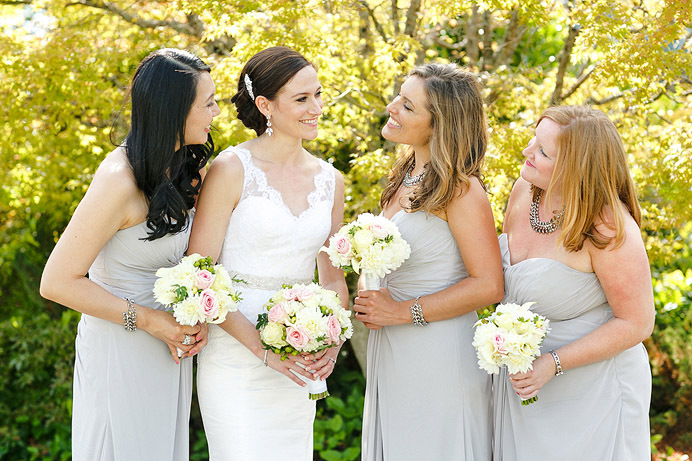 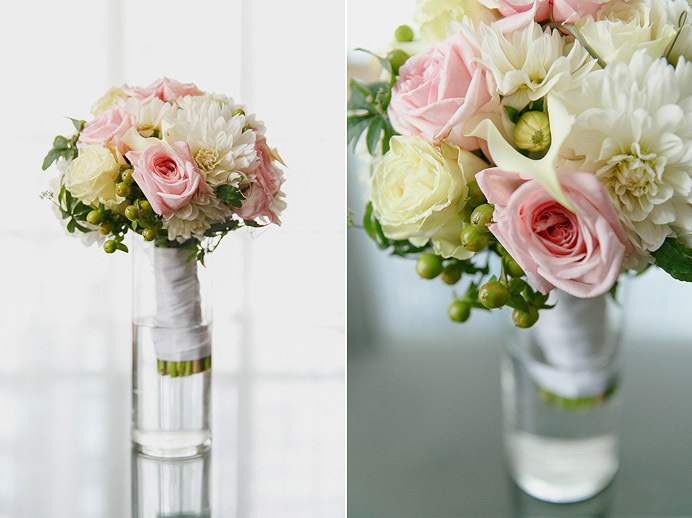 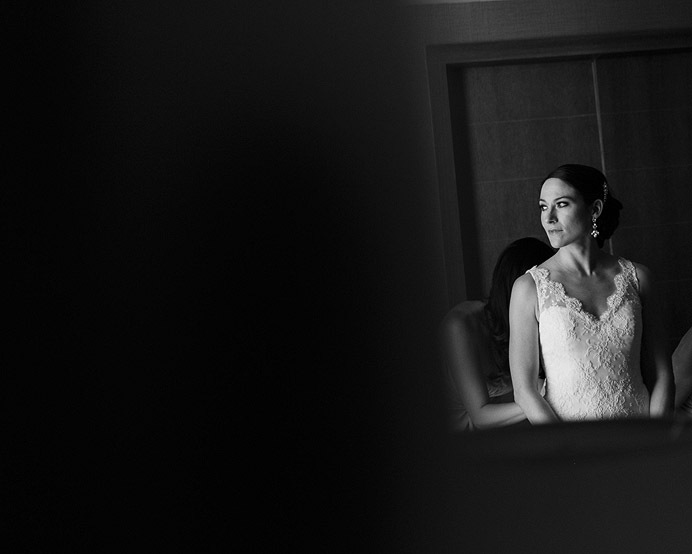 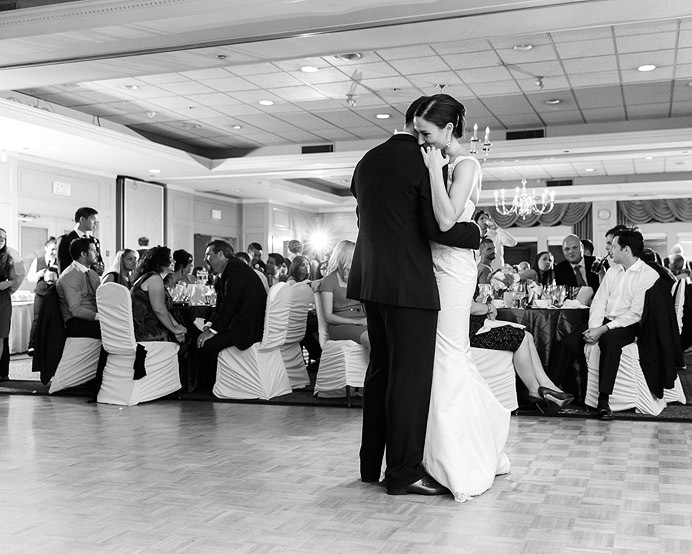 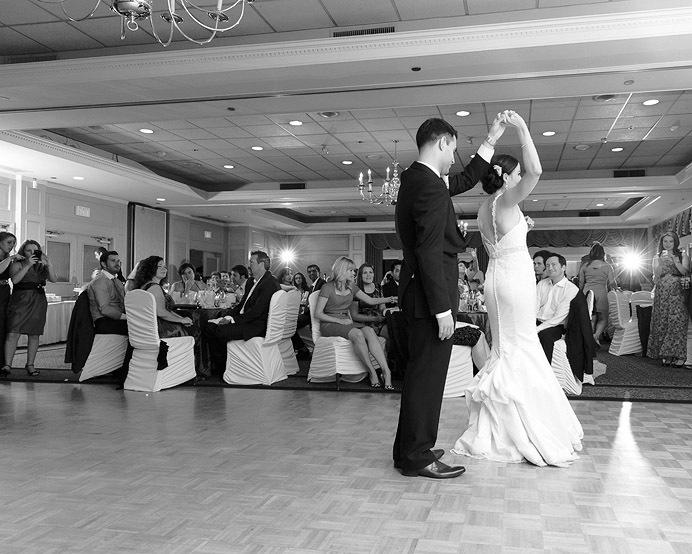 Maggie started her wedding day at the Loden Hotel in Vancouver before their University Golf Club wedding ceremony. 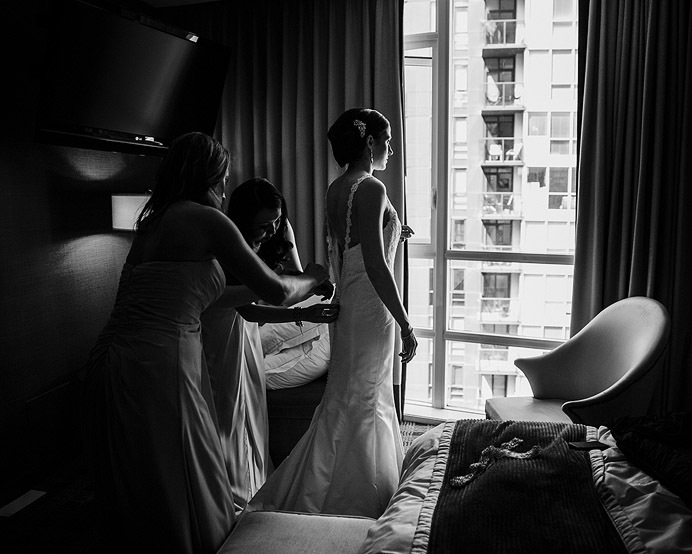 I arrived to a tranquil hotel setting with Maggie, her mom, and bridesmaids all getting ready for the big day ahead. 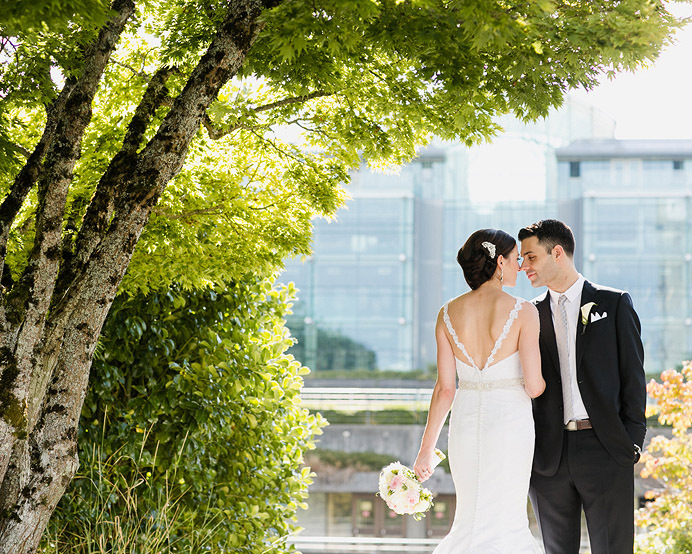 The weather in Vancouver had been great that week, and the day ahead looked almost perfect. 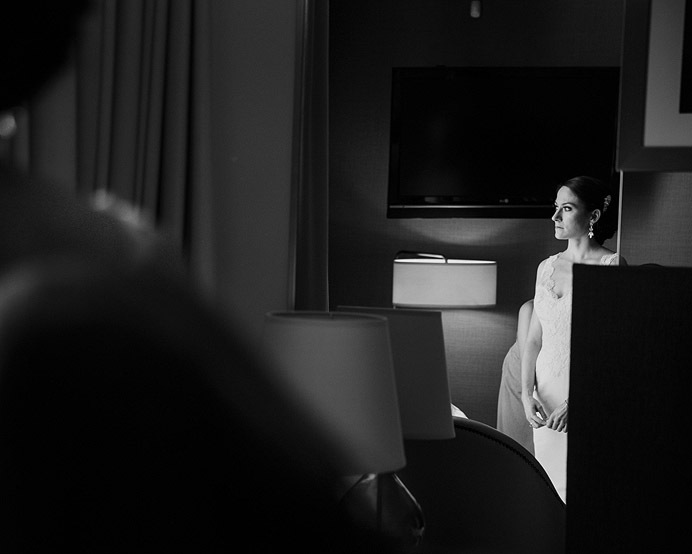 Maggie’s wedding dress hung in the bedroom when I arrived, and it was impressive. 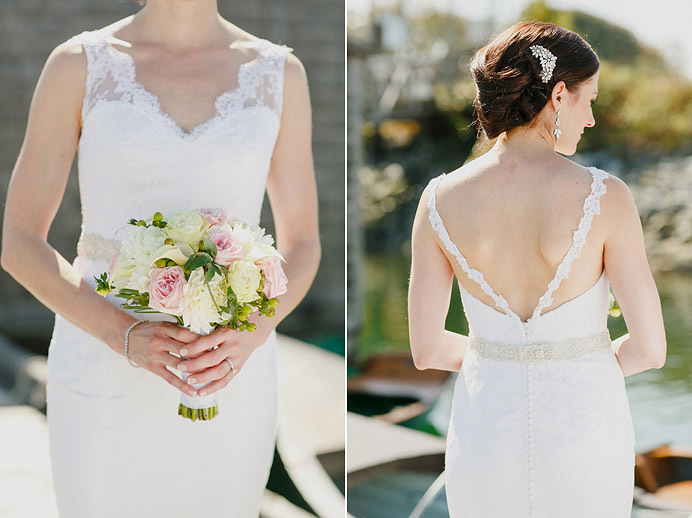 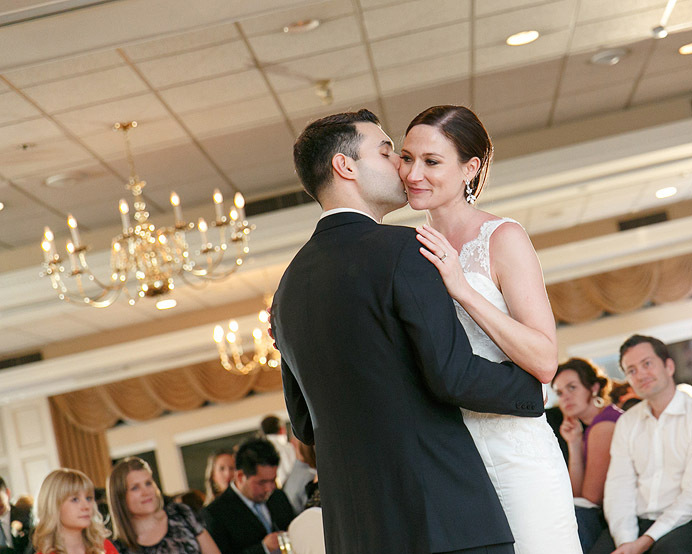 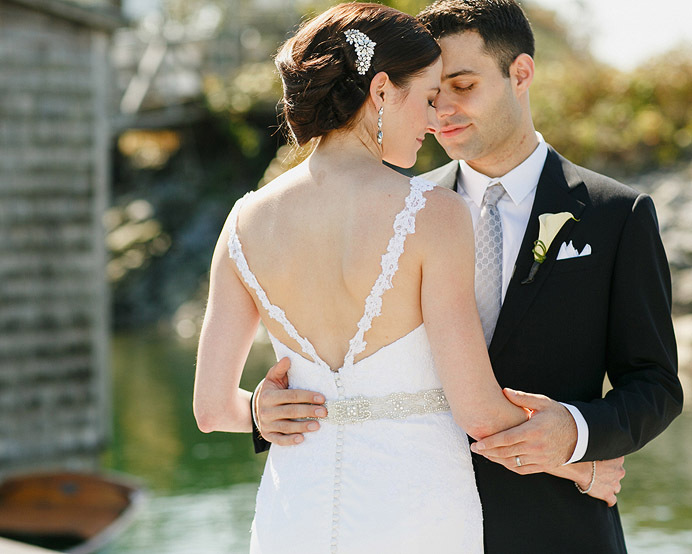 A timeless wedding dress with vintage lacing and details that fit her perfectly. 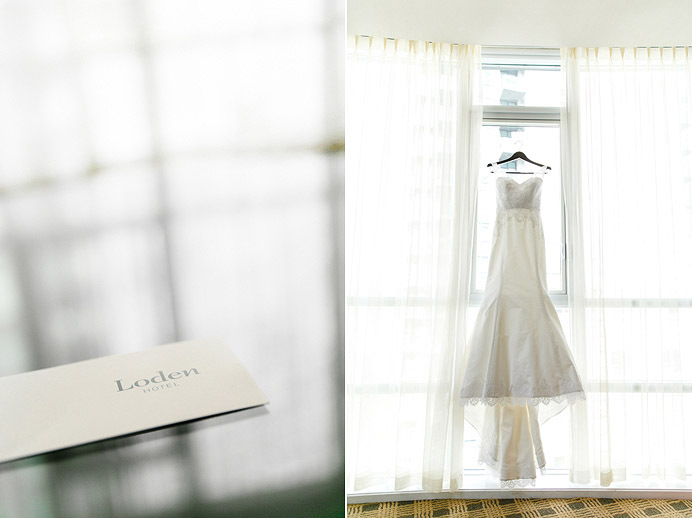 I had to get a shot of the dress by itself. 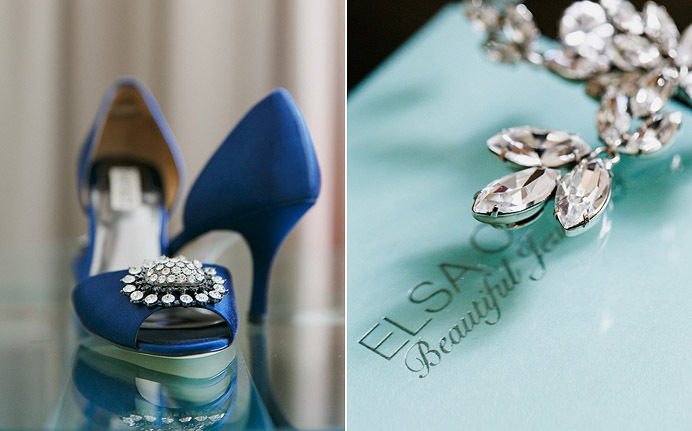 She also chose beautiful Elsa Corsi earrings, which sparkled, as they always do. 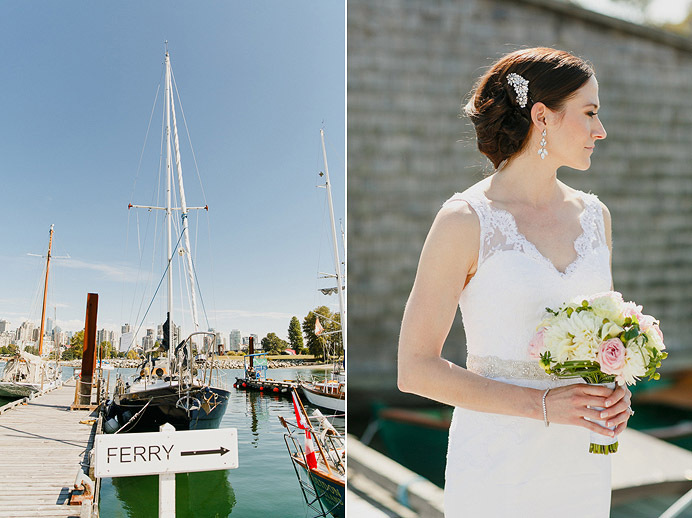 After their first look, we took photos around False Creek before going to the Endownment Lands for more photos with the wedding party. 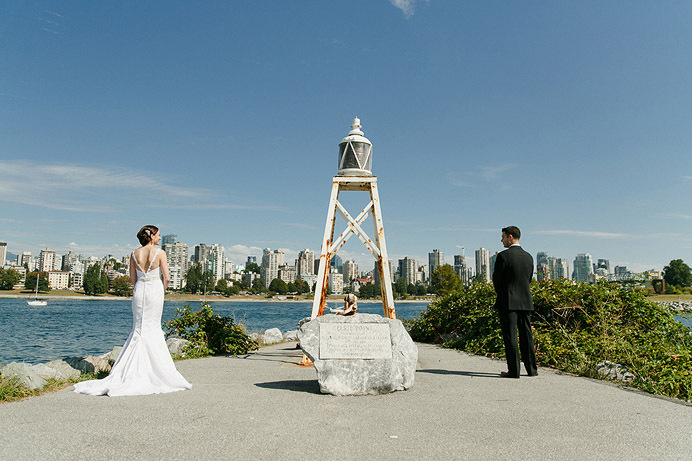 We wanted photos around water and a view of the Vancouver downtown skyline. 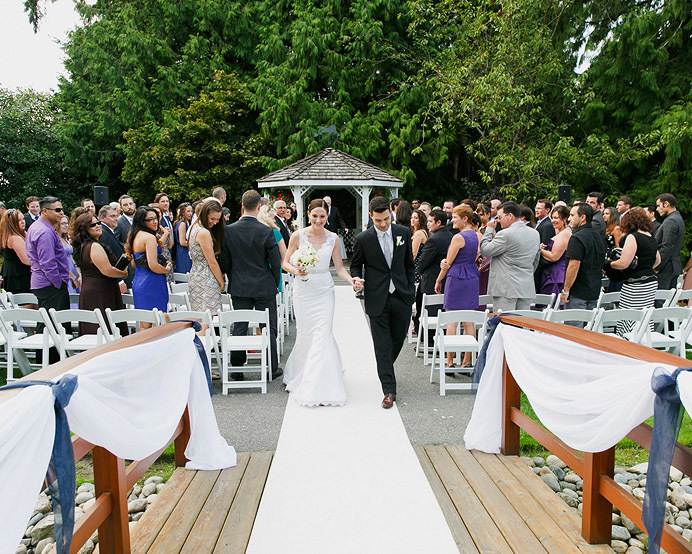 Maggie + George held her wedding ceremony and reception at the University Golf Club on the UBC Endowment Lands in Vancouver. 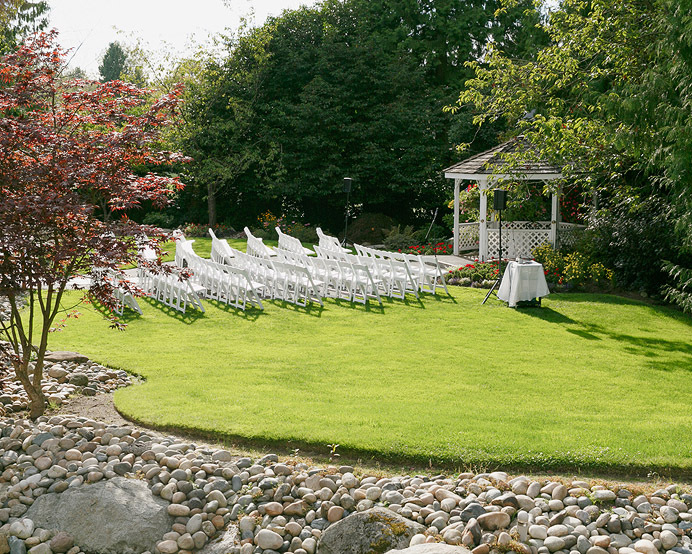 The photo below is the outdoor ceremony location, which is set in a private area adjacent the golf course and away from the public. 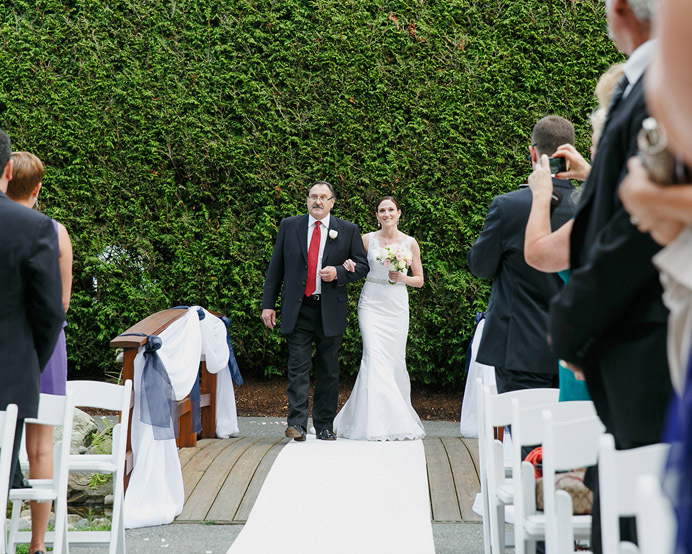 I love how Maggie was able to walk with her dad along a long circular path down to the ceremony. 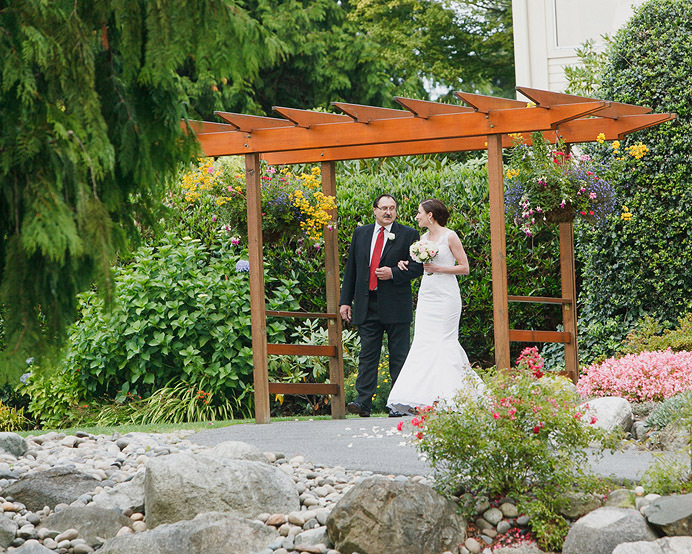 It’s a long walk, and affords nice moment for father and daughter to chat before the ceremony begins. 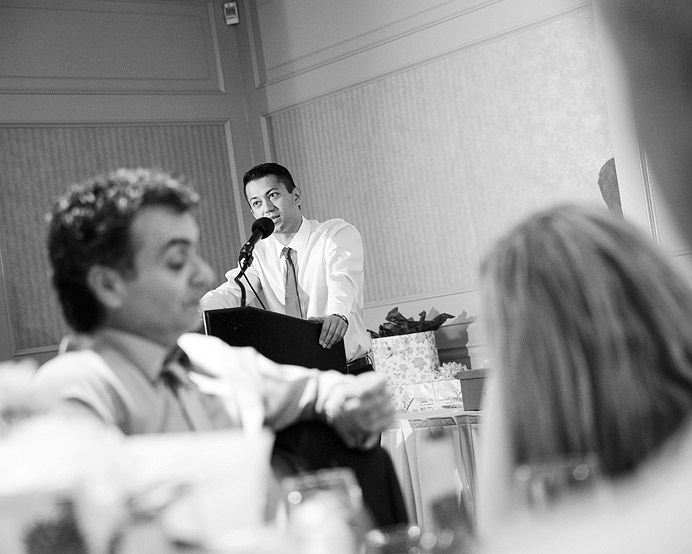 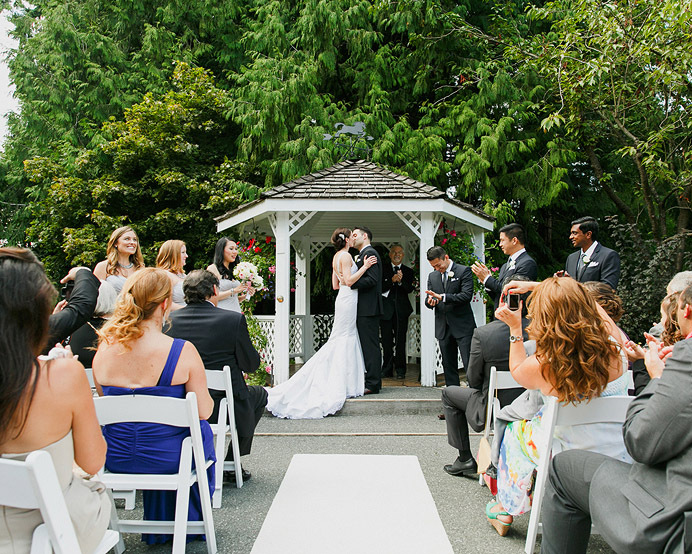 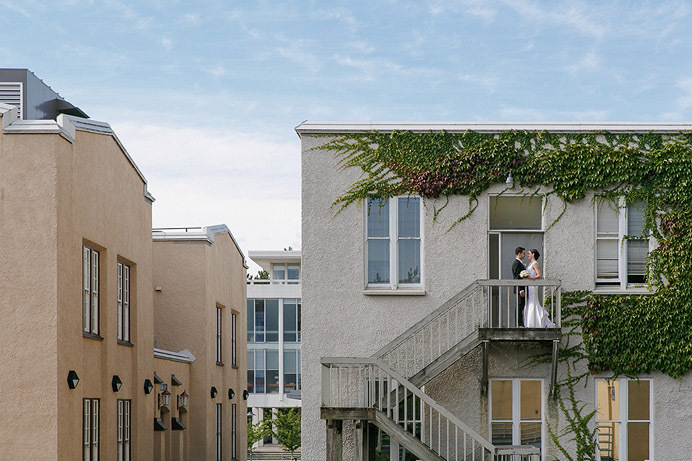 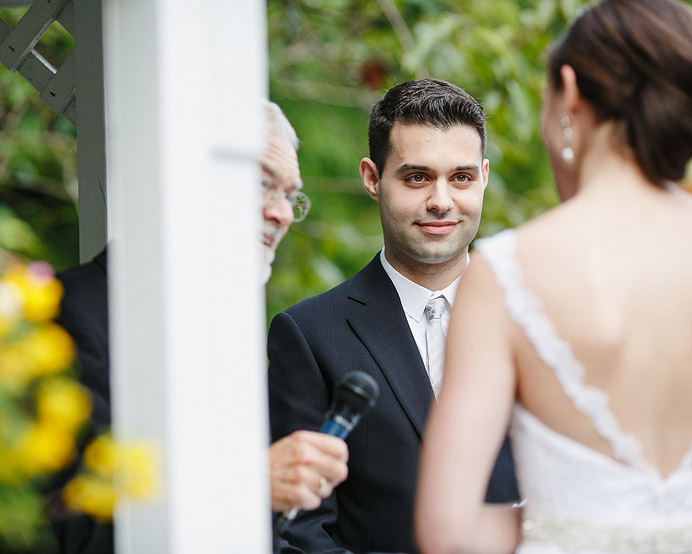 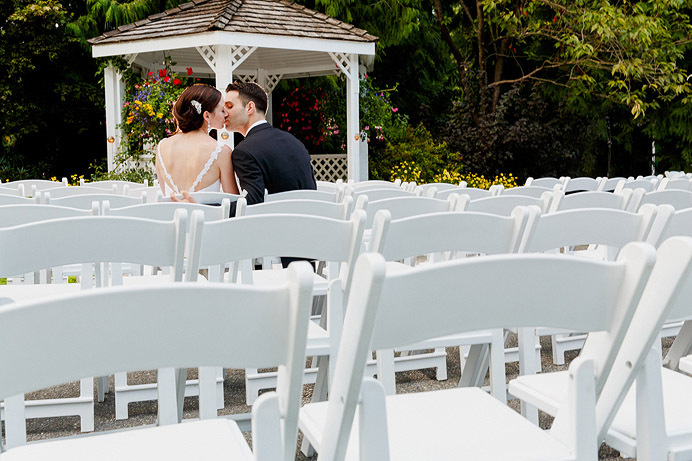 We’ve been to other weddings at the University Golf Club, and one thing that has always been consistently good is the food – it’s great, and perhaps one of the best wedding venue menus in Vancouver. 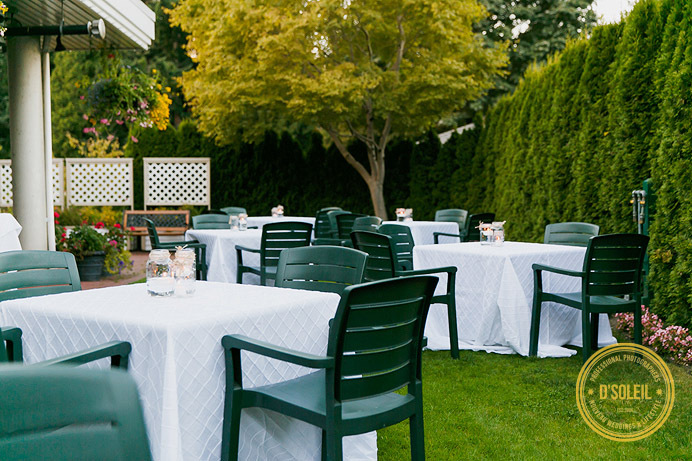 There’s also a nice outdoor patio for guests to mingle before or after dinner. 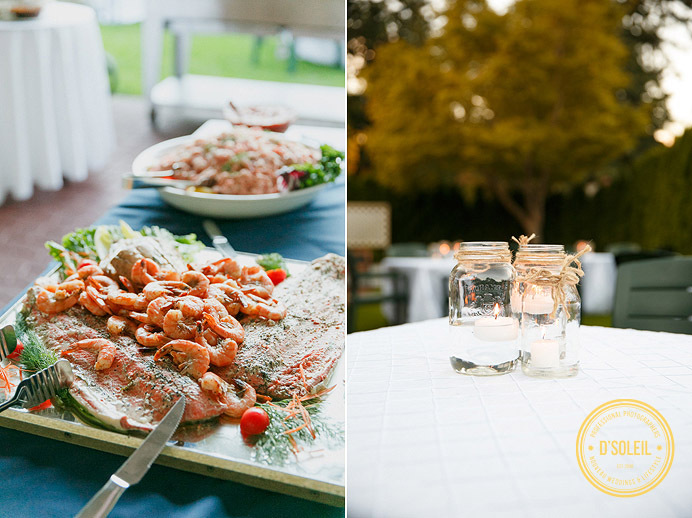 The mason jars and candles added a nice touch to the outdoor decor. 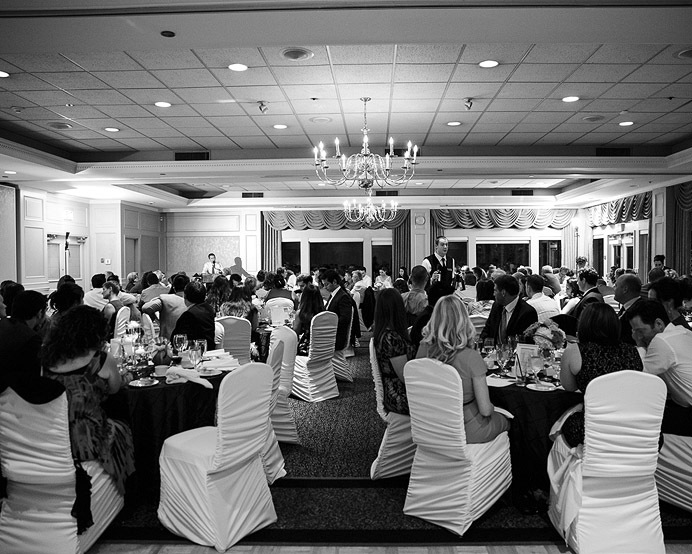 Killing it with the black and whites in this one Daniel!